There are photographs on this website of what appear to be 2 unrelated Bridges families. 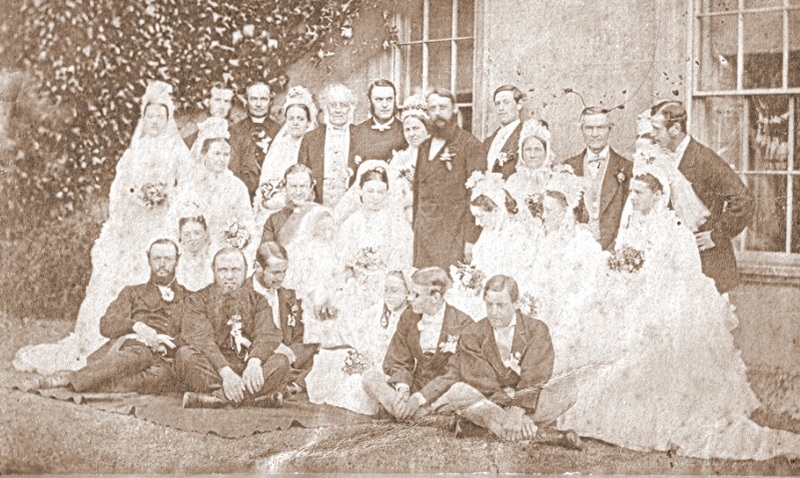 The photograph above features Tom Bridges (back row, 3rd from the left) who later married Winnie Linford of Flitcham and is believed to depict his parents and siblings. The photograph below would seem to date from the late 19th century but it is by no means certain the people here are related or even connected to either Bridges family. 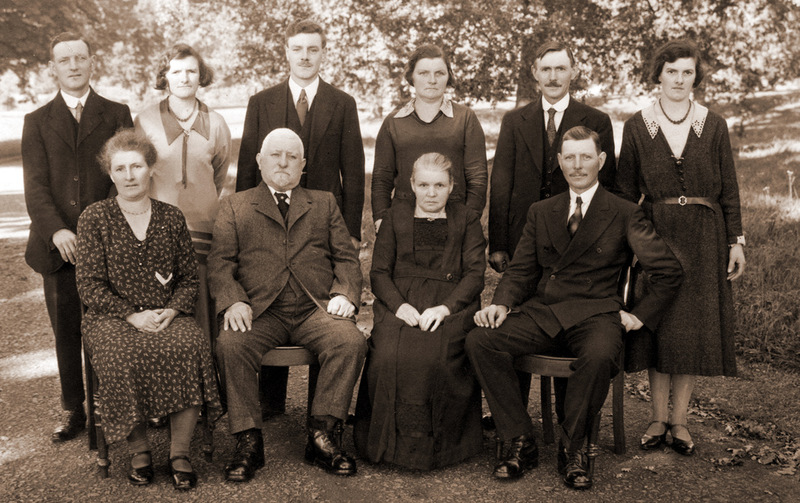 It was provided by Paula Uphill who is descended from this Bridges family. Its location could be Abbey Farm or Hillington Hall - any information gratefully received.